Should I Lease a Ricoh CAD Plotter with a Second Roll Feeder? A Ricoh CAD Plotter could be in your future! That question was posed to me a few weeks ago from a visit to a prospect in New Jersey for a Ricoh CAD Plotter. The construction business and relies on the print process in order to print bid so that their estimators can work up pricing for the bids. Years ago it was common that a Ricoh CAD Plotter was only capable of loading one roll of paper per plotter. 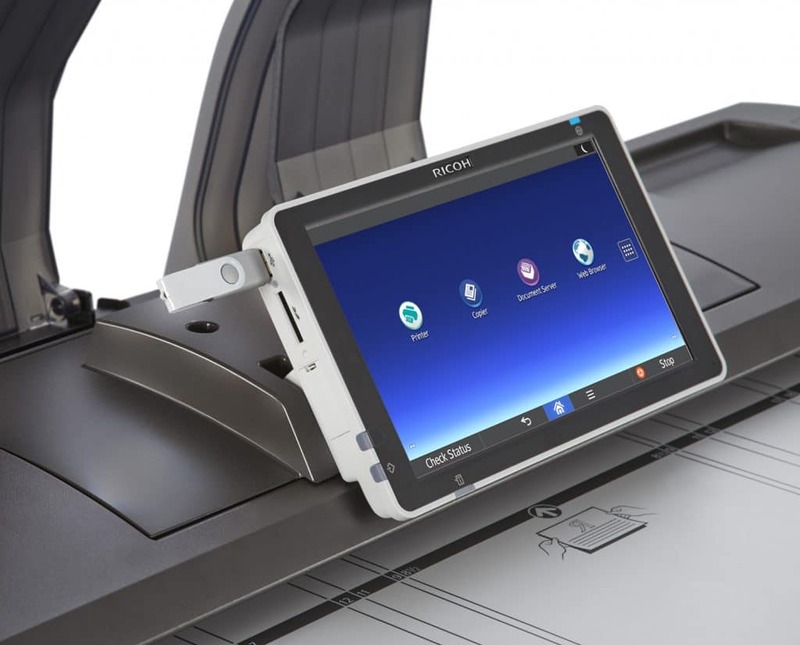 Most CAD plotters now either come with a standard dual roll feeder or offer a second roll feeder as an option. The Ricoh CAD Plotter comes standard with a single roll feeder that will accommodate a 36 inch width and 500 feet in length (1,500 square feet). In addition there is an option to add a second roll feeder. As with most wide format CAD printers, the roll of paper can be various widths. 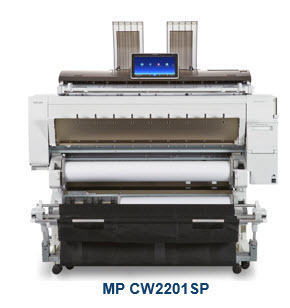 Our Ricoh CW2201SP can have a roll with a minimum width of 11 inches and a maximum of 36 inches. Which means that the device will fit any size width within that range. Why Is It Important to Have a Dual Roll Feeder? There’s a few reasons why a dual roll feeder would come in handy. A second roll option would allow our prospect to load an eighteen wide roll of paper. The use of eighteen inch paper would allow our prospect to print check plots on 12×18 paper instead of the traditional 24×36. 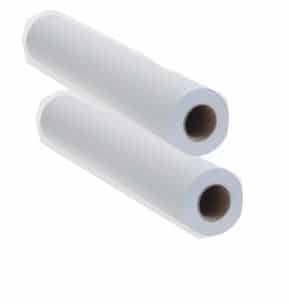 How Do You Know if You Need a Plotter with a Dual Roll Feeder? Typically optional roll feeders can be leased for $30 -$40 a month.